100% Pure Raw Honey in an adorable 2 oz. 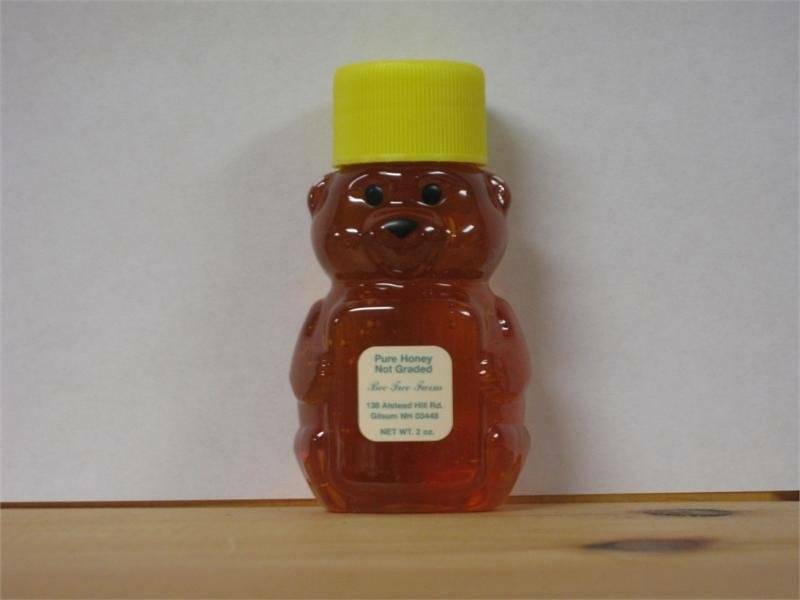 Plastic Honeybear. Perfect as a favor or travel size. "Bee Tree Farm & The New Hampshire Honey Bee is a Service-Disabled-Veteran-Owned-Small Business. After taking up beekeeping as a hobby in 2005, we established The New Hampshire Honey Bee in 2008. The past few years have been full of excitement. And 2011 was an especially exciting year!!! Our friend and 40 year beekeeper, Will Vogeley, and his wife, Carole, decided to retire after 25 years operating Bee Tree Farm. We are just thrilled to be the new proprietors of Bee Tree Farm. We are also very proud of our affiliation with the Department of Veterans Affairs Compensated Work Therapy Program providing meaningful work to wounded warriors."